Well, you would like to win, wouldn't you? So, you should look for the machine with the highest payout, possibly the one with 95%-99%. You have to be careful - the number displayed on the machine indicates the percentage of the players' winnings on the particular machine, in a long run, of course. But if the sign says 'up to 98%', that could mean that only one of the machines in Casino gives that percentage, just to satisfy the form. Try to find ones without 'up to', set up to higher percentage, and play on them. Since the progressive machines have much higher number of reels and symbols, it's advisable to play the flat rate ones. 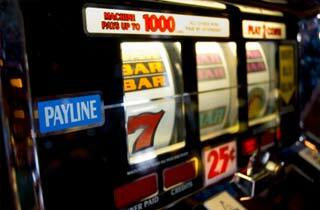 The casino employers usually know which machines are the best. So, be nice to them, bribe them with few drinks or a cut in your winning. It's important to take care of the location of the slot machine, cause it usually can tell you how loose or tight this particular machine is. 5th tip: Only the maximum number of coins, of course! If you want to win the jackpot, you have to play the maximum number of coins. That's it! Maybe you think that you have better odds if you play multiple-payline slots, but the rates are better on single-line ones. 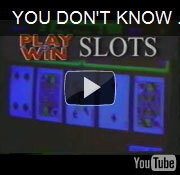 Register and use your slots card - take advantage of any comps. If you use coins instead of bills, you could play longer. You should be able to stop on time - make the plan and stick to it. Dollar machines usually return 95%, quarter machines 93%, and nickel machines 90%. Well, yours is not paying off, so, try the next one. Two loose machines are almost never side-by-side. The standard payout percentage of all reel-type slot machines can change - sometimes few percent up, sometimes few percent down of the programmed value.